To add a member click on the "Add Member" button. In the window that will show, will be sufficient to enter new members' usernames or emails and then confirm the operation. 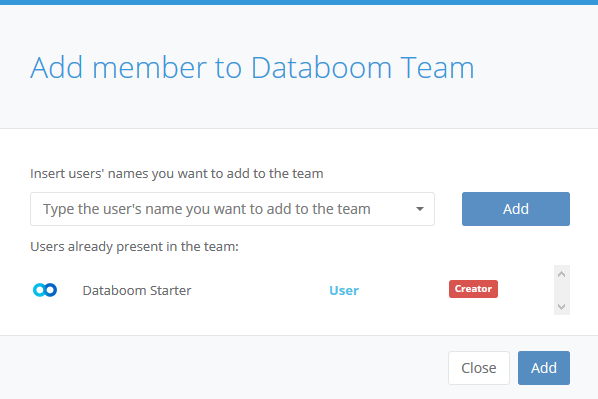 In the "Members" table, you can remove users or update their permissions using the corresponding buttons. Each operation requires confirmation to be effective.